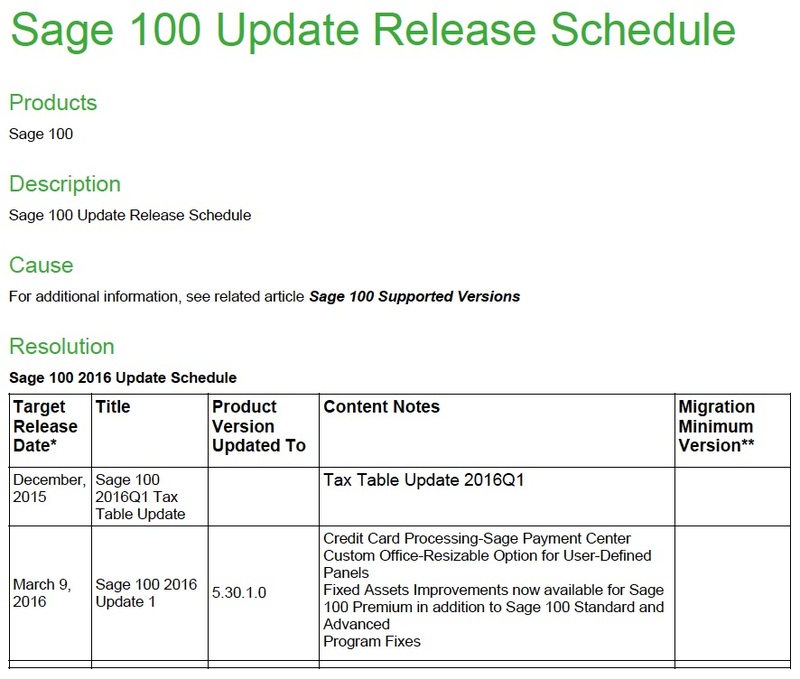 Sage have updated their release scheduling to indicate the expected dates for their next Sage 100 update releases. Sage 100 2016 is slated to receive update 1 on March 9, 2016. This update will include not only program fixes but also include new functionality such as the introduction of Sage Payment Center and Fixed Assets integration for Sage 100 Premium. Expect future updates to follow a similar path and include both product fixes and new functionality. Sage 100 2015 is slated to receive update 5 on March 9, 2016. 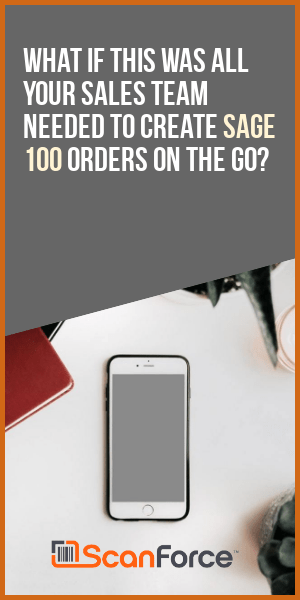 These are the only two Sage 100 releases presently on the schedule to receive a full update bundle. Other supported versions of Sage 100 will receive periodic fixes but will not receive update bundles (fixes and new functionality).